No engine, no lights, unlimited MPGs — this limited-edition Harley-Davidson pays homage to the Wisconsin brand’s short-lived foray into pedal power 100 years ago. What candy cigarettes are to Camels, Harley-Davidson thought its bicycles would be to the iconic, throaty hogs. It’s true: In 1917, the Wisconsin-based motorcycle manufacturer launched a line of bicycles in hopes of recruiting youths into its edgy brand. Though the campaign proved short-lived — Harley-Davidson halted production by 1923 — those vintage pedal cruisers recently resurfaced into the mainstream. 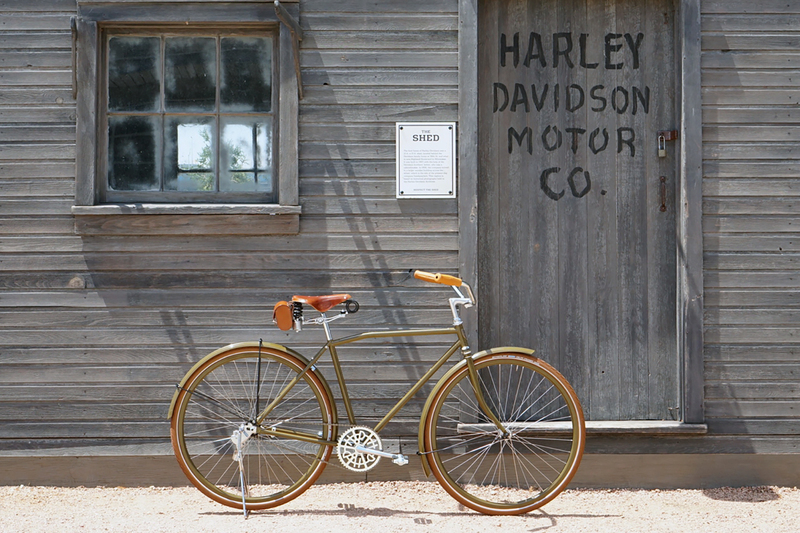 Last month, Harley-Davidson announced it will commission Chicago’s Heritage Bicycles to build 10 replicas of it century-old bicycle. With its coil-spring saddle, kinked top tube, and a custom “H-D” chainring, the fully functional tribute bike is part of Harley’s yearlong 115th-anniversary celebration. Heritage did, in fact, paint it green (olive, to be precise). 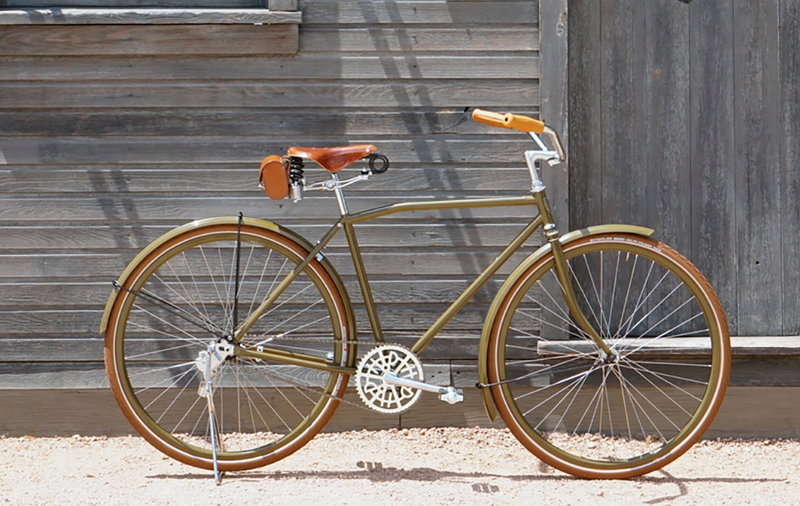 But the Chicago builder-retailer meticulously crafted almost every detail of the original bicycle. From its custom (jumbo) chainring to its hand-painted pinstripes to its comically overbuilt suspension saddle, the replica 7-17 appears fit for a museum. Some details, however, had to be modernized for the sake of comfort and longevity. 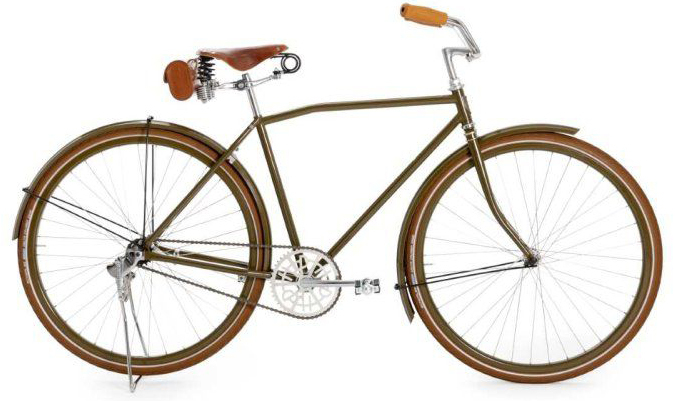 According to Bicycling, Heritage replaced the original 7-17’s heavy steel rims with aluminum. And it added sealed front hubs and a Brooks B135 saddle. If you’re a Harley enthusiast or vintage bike lover, you can try to nab a $4,200 limited-edition build this summer. Contact the Harley-Davidson Museum to be put on the waitlist!